Back in 2010 I used to listen to Emancipator’s Safe in the Steep Cliffs album quite a bit, and have been checking out Emancipator’s releases ever since. Emancipator’s instrumental hip hop music has a very special tone – it’s a nice mix of natural, manufactured and altered sounds. The main tone is still very much organic, and I always keep thinking about exotic forests when I listen to Emancipator. Cheeba Gold EP was co-written by 9 Theory, and the two seem to be a very good match. 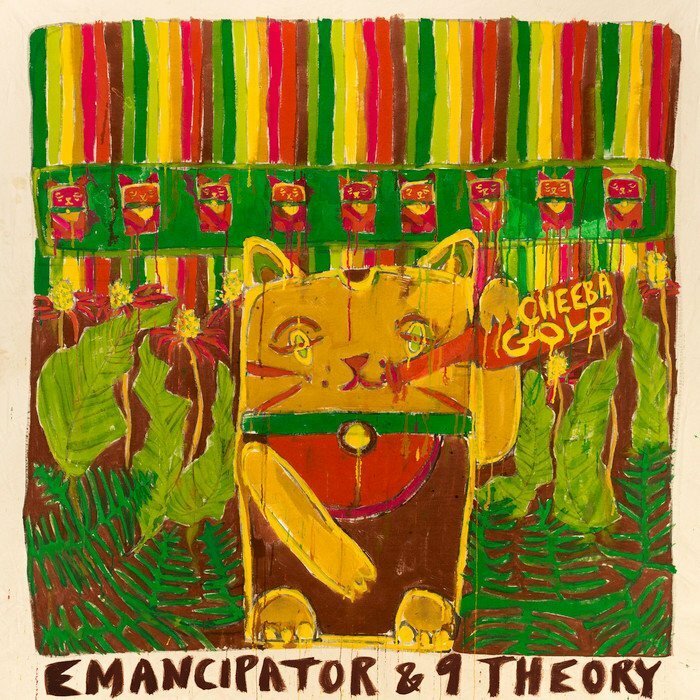 Unlike Emancipator, 9 Theory usually has vocals on his tracks, but on Cheeba Gold the songs are instrumental, in true Emancipator fashion. I wouldn’t call Cheeba Gold a huge step in any new direction, but it’s one of Emancipator’s best. The overall tone is warmer than on Baralku, for example. Cheeba Gold is a bit less dramatic than many of Emancipator’s releases. Less strings, more guitars and vocal bits. The songs take you on a trip, and listening to these mellow beats and otherworldly echoes feels like flying across some misty tropical mountains and landing on the upper branches of a kapok tree to touch the raindrops on the leaves. Everything seems easier when listening to this EP. Even without lyrics, these songs sound hopeful. I think this release truly deserves to be heard, because there aren’t many other artists who can make you feel this way.